In the past, major video game companies like Square and Enix merged. It's a big deal when something like that happens! Nintendo president Satoru Iwata recently mentioned "M&A" (aka mergers and acquisitions), setting off speculation around the internet. But what does he mean? It's not yet clear—he could just be talking about licensing Nintendo characters. We'll change the way we sell products, by managing customer information via the Internet. We'll offer discounts to steady, regular customers. We'll cultivate emerging markets and launch new businesses in health and other areas. In an emerging country, you can expand the user base only after you offer a product line different from advanced economies in pricing. We should abandon old assumptions about our businesses. We are considering M&As as an option. For this reason, we'll step up share buybacks. This set off a flurry of speculation among English language video game sites. This is interesting and all, but what exactly is Iwata banging on about? The answer is far more nuanced than an initial read may suggest. In the Japanese version of the Nikkei, Iwata said, in part, "Ｍ＆Ａ（合併・買収）の可能性を否定しない." Technically, that means: "I will not rule out M&A." In the quote, the paper explains "M&A" in Japanese: "M" is "gappei" (合併) or "merging/consolidating" and "A" refers to "baishuu" (買収) or "buying/purchasing." The Nikkei clearly defined the English term M&A for its Japanese readers. What's more, Nikkei's Japanese edition states that Nintendo is thinking about using its own stock reserves for M&A (保有する自己株式をＭ＆Ａに活用する考えという). However, that original Japanese Nikkei article is titled, "Nintendo's President: 'I Won't Rule Out' the M&A of the Character Business" (任天堂社長、キャラクタービジネスのＭ＆Ａ「否定しない」). The paper clearly says "Character Business" (キャラクタービジネス), which we can take to mean character licensing. 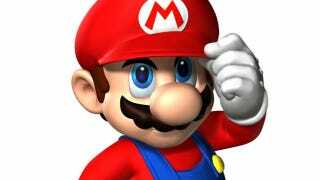 For example, Iwata is quoted as saying, "The possibility of Mario smartphone wallpapers and stamps are not off the table." In another Japanese article published by Nikkei from the same interview, Iwata talks more about expanding the licensing of Nintendo characters for things like candy prizes and children's clothing. Here's Iwata: "We need to be more flexible in considering such things we previously said we wouldn't do." Anyone who lives in Japan will know that Nintendo characters are already licensed out for a bunch of products. For example, there has been Mario shampoo and Kirby chewing gum, among many other products. It certainly sounds like Iwata is using "M&A" to refer to expansion of its character licensing. Or maybe, Nintendo plans on buying, and this is speculation on my part, companies to expand its branding through clothes, toys, and possibly smartphones. As the Nikkei noted, the Nintendo president didn't offer specific details, and Nintendo wouldn't offer specifics when we asked them for more information. One thing that still seems unlikely is that Nintendo is seriously considering a merger on the scale of Square and Enix, or anything so dramatic.